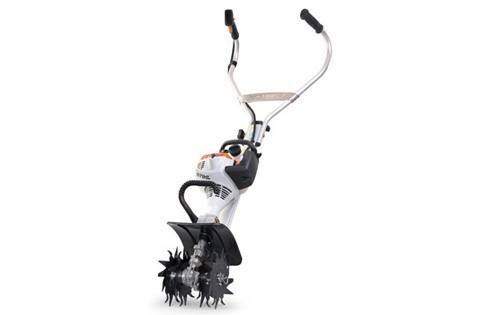 STIHL YARD BOSS® with Easy2Start™ The MM 55 C-E YARD BOSS® engine allows mixing and matching of attachments for a variety of groundskeeping jobs including cultivating, edging, aerating, sweeping and much more. Equipped with the Easy2Start™ system for effortless starting plus an easy to use multi-function handle with start/stop and trigger controls, it also folds up for easy transport and storage. This tool is a “must-have" around the home or farm. Attachments sold separately.